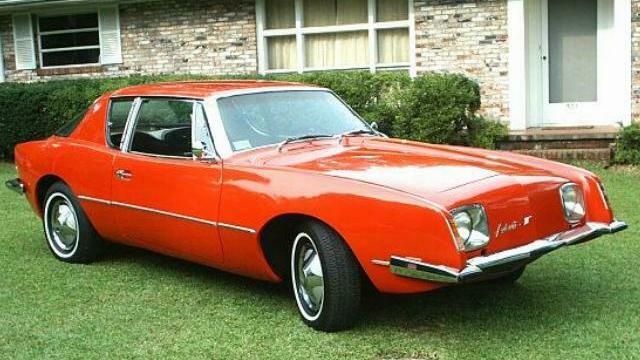 This outstanding 1969 Avanti II belongs to Steve Wood of Greenville, South Carolina. Steve indicates that this is an original car that was repainted about 18 years ago. As with all early Avanti II's, it is powered by a Chevy 327 engine. 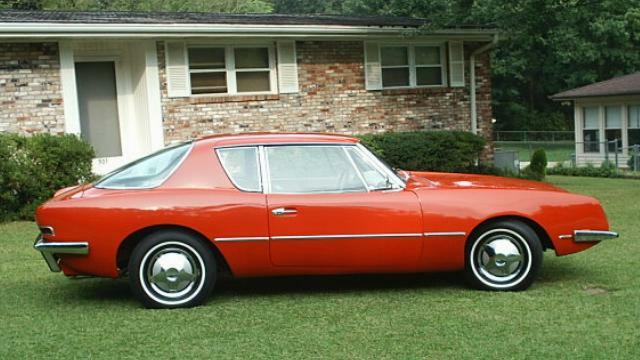 Early Avanti II's look much the same as those made by Studebaker except for the lack of a forward rake and, of course, the absence of Studebaker nameplates. Steve's car is one of 92 Avanti II's produced in 1969. 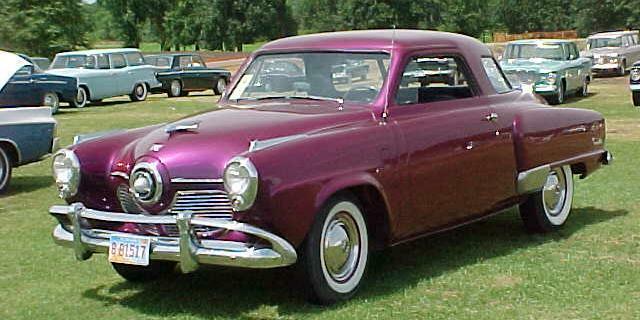 This picture was taken by Roger Bass at the 2001 Studebaker International Meet. Bill Hower sent it to Bill Junge who sent it to me. 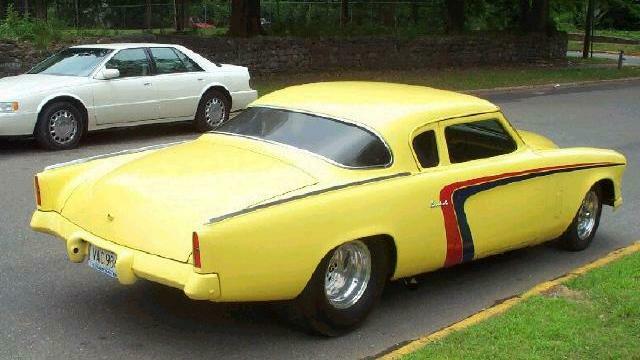 Bill Junge has his own web site called Bullet Nose Paradise which is dedicated to 1950 and 1951 Bullet nose Studebakers. Thanks again to Roger, Bill, and Bill for helping to keep this page in new material. 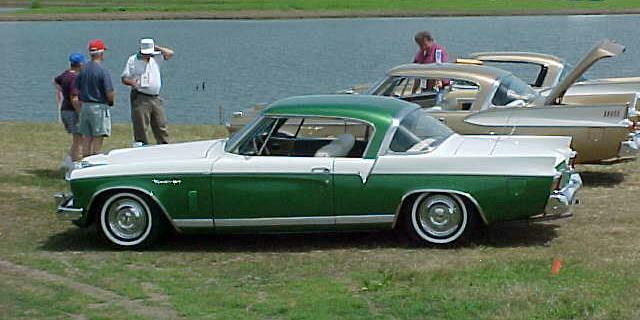 The green and white car is a 1956 model with a 352 cubic inch Packard engine. 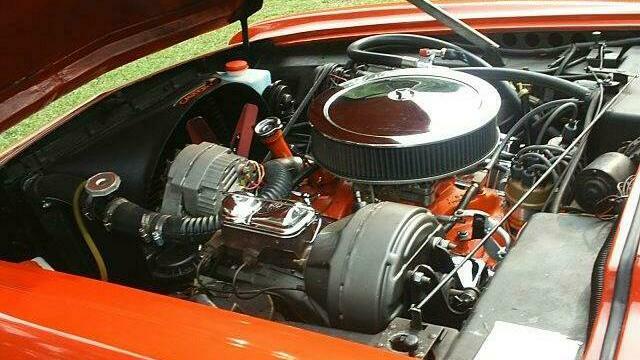 The other two are 1957 or 1958 models with supercharged 289 cubic inch Studebaker engines. 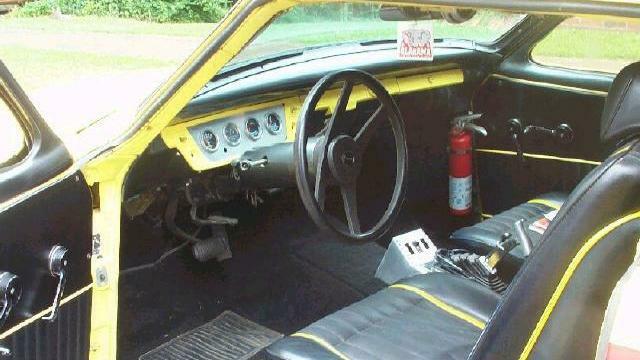 Both engines were rated at 275 horsepower. This photo was also taken by Roger Bass at the 2001 International Meet. This picture along with several others was sent in some time ago by Daniel Minchen. Daniel indicates that the pictures were taken along Route 31 East near Uno, Kentucky. He describes his find as a "crop of rusting Studes sitting in the shadows of a Kentucky tobacco field." As with the British Columbia Stude wrecking yard featured earlier this year, I'll include a different shot from the Kentucky yard with each of the next several updates. 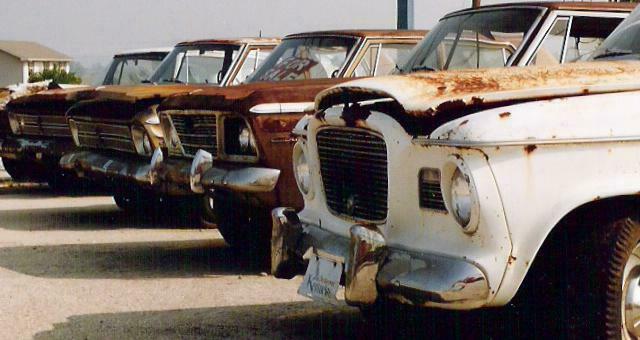 Thanks to Daniel for sending along a fine group of junkyard pictures. 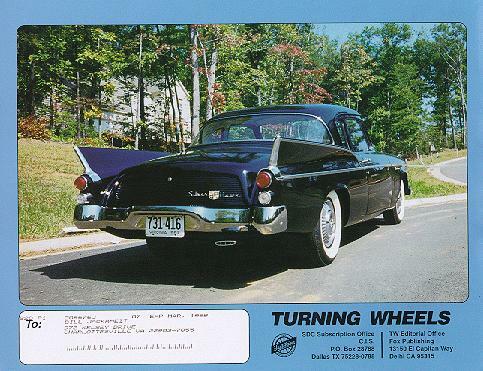 This cool 1953 Custom Starlight Coupe belongs to Nathan Robertson of Montevallo, Alabama. 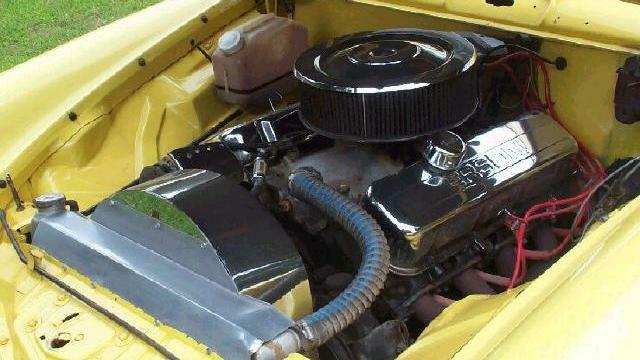 Nathan's Champion is powered by a Chevy 396 engine tied to a Turbo 350 automatic transmission. 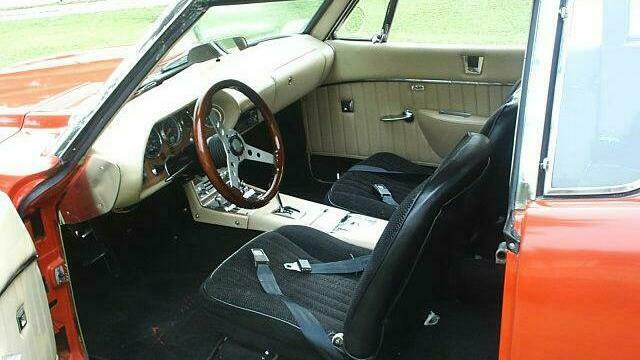 Other modifications include a Mustang II front clip, Micky Thompson Sportsman Pro tires on chrome rims, and four wheel disc brakes. Nathan is a memeber of the Heart of Dixie Chapter of the Studebaker Drivers Club. 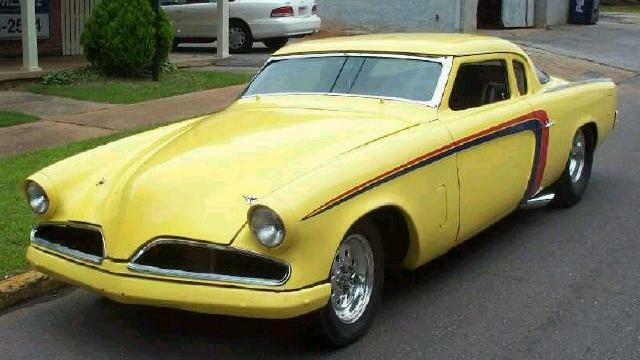 This rare 1:43 scale 1956 Studebaker Golden Hawk Hardtop was made by Mercury of Italy. This very nice example appeared on eBay earlier this year. While I don't know the final price, my recollection is that had been bid up to well over $100. A rare find for the serious toy Studebaker collector. More toy Studes can be found in the Stude Stuff area of this page and on my Studebaker Toys Home Page.